Starting a small business is a nice path to freedom, satisfaction, financial independence and happiness. So, we will do our best to provide you some nice information on this topic. We believe that doing this, we can make the world a better place for everyone. Also, this is a nice way for us to learn more about doing business and improve our knowledge. Starting a venture is not the easiest task in the world, but it is not hard, too. You should prepare for a lot of work, sometimes without seeing any quick results, you should be willing to take reasonable risks and make lots of decisions. But once your company is up and running, you will see that it is worth it! The most important thing here is that you should prepare for a process, not for something that is done once. Don’t expect to struggle, eventually make it and then rest on the beach for all of your remaining life. Having a business is a constant process, you need to learn to survive continuously. OK, first of all you need a business idea. Some people want to have a business, but they don’t have a clear idea about what to do. So take the time to decide exactly what would be the idea, around which you want to build a company. It is a tough process, so take the time needed. A nice method for generating ideas is brainstorming, here is how you can do this: http://en.wikipedia.org/wiki/Brainstorming . This is just one of the most used methods, practically you can get ideas from everywhere. Internet is a good place to do this, you can start reading our articles about the most successful business and entrepreneurs here on the site, it’s full with such success stories. Some other methods for generating ideas are: absence thinking, the Crawford slip method, the Delphi method, etc. Or just look around you and empower your brain. 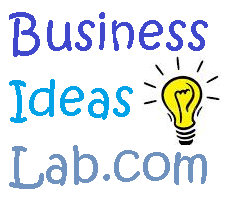 After you have an idea, you need to develop it into a business plan. In simple words, a business plan is an explanation of how exactly your business is going to work. In details – what you will sell, to whom, where, how, at what price, etc. There are some basic rules for writing such a plan and it’s not that scary as it seems, see here. This is a crucial step, that will help you raise money for your venture. It’s almost impossible to get finance without a business plan so, be sure to have one and that it is a good one! May be, the most important part of the plan is the marketing part – how you are going to advertise and sell your products. Usually marketing includes the following things – price, product, promotion and placement (the four Ps of marketing). You need to have a complete marketing strategy. When you have a business plan, you are ready to raise some money for your venture. Surprisingly for many, money is not the greatest obstacle for starting a business. If you have done your homework well (step 1 and 2) and you have a profitable idea (according to the business plan), it wouldn’t be so difficult for you to get financed. Starting businesses don’t have too many option for financing, the most common ones are: personal bank loans, own funds, business angels, venture companies, friends and family. We will talk about them later here: fundraising ideas . New ventures are most often financed by entrepreneurs’ own fund or by friends and family. You are almost done! Now it’s time to clarify some small details and start making money, right 🙂 . If you haven’t selected the legal form of your business, you should decide whether your company would be a LLC, Ltd, Inc, nonprofit corporation, or whatever the forms in your country are. Thing may vary, and you need to know the advantages and disadvantages of any type of company. Think about partnership, in many cases two heads are better than one. Also there are some great benefits coming from this: you take less risk, you have a gal or a guy you can rely on, you are not alone in the dark and so on. So, these are the main steps and we hope that how to start a small business is more clear to you. 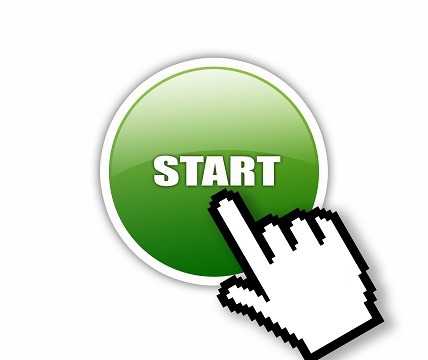 Browse our How to Start a Business category, for more interesting articles on this topic. Please consider sharing this post, if you find it interesting. This way you will help us write many more cool topics like it. We have a bunch of some cool social buttons on the page.